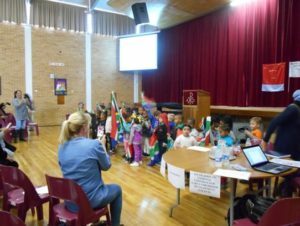 At the end of July the Grapevine Forum hosted an ECD (Early Childhood Development) Indaba, ‘What about the children,’ for about 150 ECD centres from Worcester and surrounding communities and towns. Concerns have been raised about a number of established ECD centres that have lost their Partial Care registration and subsidy from Department of Social Development [DSD], mainly because they cannot meet the onerous requirements of Breede Valley Municipality [BVM]. Representatives from DSD and BVM addressed principals and teachers, and more meetings have been planned to find solutions, so that we can ensure our young children are properly cared for and stimulated through quality early learning programmes.